Support I/DD Legislative Bill Now! An opportunity for you to make a difference. Please read & act today! You have a timely opportunity to make a difference. 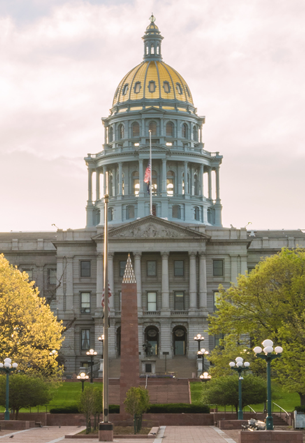 The Colorado legislature is now considering a bill to address the long waiting list for Residential/Home and Community Based DD Comprehensive Services and workforce capacity concerns, and we urge you to show your support for this bill today. · Fund 300 new resources for individuals who are waiting for services, and whose family caregiver situations are at risk of experiencing an emergency situation (meeting a most-in-need criteria). · Fund an increase specifically for direct support professionals’ compensation. ﻿Funding to make progress toward meeting these important needs would come from the Colorado general fund, and those funds would be matched by Federal Medicaid dollars. 1. Signing the petition in support of the bill by clicking here . It’s easy! 2. Contacting the Joint Budget Committee (JBC) members individually to show your support. Find the six JBC contacts by clicking here . The JBC is considering this bill today and tomorrow, Wednesday, March 21 , so please contact them as soon as possible. · your personal perspective (e.g. that you or someone you know has waited for years for services, or is facing the future vulnerability of being an aging caregiver). 3. Contacting your state Representative or state Senator to share your opinion and urge their support of the bill. Find your legislator by clicking here and entering your address. Please contact your legislator now and anytime over the next week as the bill continues to move through the process. Over the next few weeks, DDRC will be sharing updates on this bill on our website and Facebook pages. This outreach is part of DDRC’s longstanding leadership in promoting funding, legislation and policies that are good for people with intellectual developmental disabilities and delays, and their families. Thank you for partnering with us in this mission.